January 25, 2012 Filed in Photography, This is My Oakland! Sometimes I sing. I let my voice be heard. I sing my song. I had the pleasure of having this photo taken of me last year when my friend, Valerie Troutt, was doing a recording session at Studio 1510 in West Oakland. 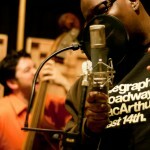 Big thanks to David Ewell for hamming it up on the bass. 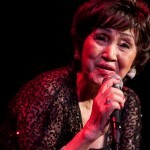 Photo highlights from the 4th Annual San Francisco Filipino American Jazz Festival at Yoshi’s SF on October 9. 2011. The festival included the lovely music of (top to bottom) Annie Brazil, Ann Marie Santos, and Lena Sunday. 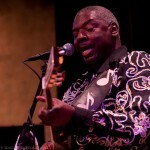 January 16, 2012 Filed in Blues, Photography, Singers, This is My Oakland! Bluesman Alvon Johnson keeping it bluesy for Christmas at Yoshi’s Oakland. 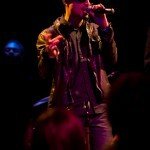 January 16, 2012 Filed in Jazz, Photography, Singers, This is My Oakland! 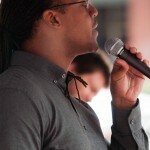 Vocalist Jua Howard at the Downtown Berkeley Music Festival in August 2011. If you have not heard Jua sing then you definitely want to check him out. He is currently working on his second album project. Please support live music!! !